Children Dentist serving infants, children in Blacktown, Parramatta and Kellyville in Sydney. At Winning Smiles dental surgery, we help children dentistry as a comfortable, highly important part of their health dentistry. It is the first thing you notice about a person and the last thing you remember. At Winning Smiles, We aim to ensure each patient receives the highest possible quality of dental care. 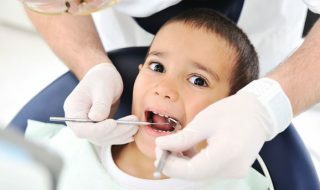 We specialize in providing highly service for infants and children dentist. Our goal is to establish great oral health habits early in your child’s life. To respect the trust parents place in us by allowing us to care for their children. Prevention and education are important in our practice, and we take seriously that you and your child need to understand how to take charge of and protect your child’s oral health. We are always available to answer questions about your child’s dental needs and the services we can provide for your child’s ideal treatment. Early regular visits to the children dentistry will build a trust that will help children prepare for a lifetime of good dental check-ups. Winning smiles dental surgery provides ongoing assessment of the changes in your child’s oral health. Being an expert in dental development, she monitors your child’s needs and provides advice and treatment to ensure winning smiles as a specialist of children dentist. Winning smiles dental surgery experienced Dental team looks forward to helping you give your child the best dental health. A gift they will enjoy for the rest of their life. We are specialist as a children dentist serves across the Blalcktown, Parramatta and Kellyville with the specialty for infants and children dentistry. Our experienced Dental team believes that your smile is a reflection of you. It is the first thing you notice about a person and the last thing you Remember At Winning Smiles We aim to ensure each patient receives the highest possible quality of dental care.